What’s The Difference Between Personal, Business, and Commercial Credit Cards? Here’s a fun fact: almost every physical credit card in the world is the same size. An international standard stipulates dimensions of 3⅜” × ​2⅛”, with corners rounded at about a ⅛” radius. Good news for the world’s wallet makers. Beyond that, credit cards come in a limitless variety. 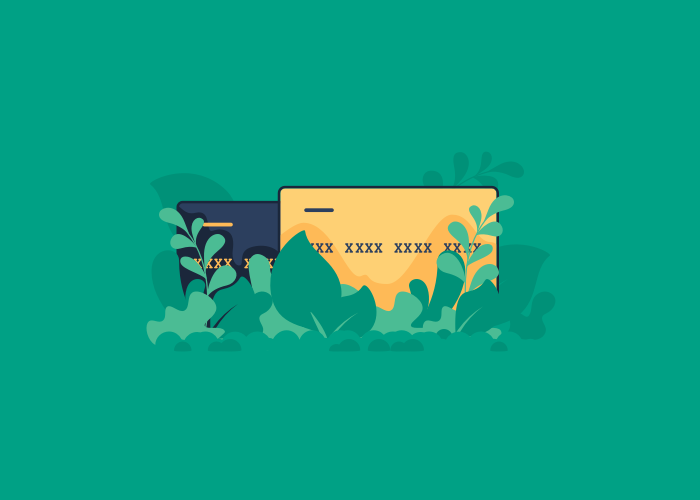 Financial institutions think of each credit card program as a unique product, and they mix and match aspects of the programs continuously. To orient you with the many available options, this article will unpack the difference between consumer, business, and commercial credit cards. So many types of credit card programs exist in the world, there is no one system of categorization that organizes them all perfectly. But as diverse as they are, Abacus is able to connect to pretty much every card program out there. Personal cards. Consumer-grade card programs designed for individuals. Business cards. Designed for small businesses. Commercial cards. Designed for large businesses. The system seems straightforward at first. What gets confusing is that although business-tier cards are a variety of corporate card in this taxonomy, they sometimes have a lot in common with personal cards. Drawing out those distinctions is what we’ll do in this article. Personal card programs are intended for consumer use. Business cards are intended to be used by a registered small business to pay business expenses. Easy, right? Not so fast. Once you start trying to find the actual differences between personal and business cards, they’re not obvious. To take one example, you as an individual can apply for and get a business-tier corporate card. You don’t need to have an actual business. Just call yourself a sole proprietor, enter your social security number instead of a employer ID number when you apply—some financial institutions even prompt you to do this—and start enjoying the perks of your business-tier card program. Both personal and business cards can be used to pay both personal and business expenses. Business and personal cards sometimes offer the same rewards program. Personal credit history can factor into approval for both, and individuals can be held liable for the debt of both. In other words, the differences between personal and business card programs are more technical than you might initially assume. Though business and personal card programs broadly share many similarities, they are different in important ways. Foremost is the question of liability—who pays the card balance. With personal cards, the individual is always responsible. But business card programs use a number of liability models. Some expect the company to pay the balance. Others expect the individual to pay. In any event, the company is the debtor of last resort with a business card program. No matter what billing and payment arrangement the program is set up with, the business is ultimately on the hook. Personal cards are more helpful for building up your personal credit, because business cards usually only report negative activity, like missed payments, to the credit bureaus. Building the credit of your business is important for getting business loans, but don’t expect it to benefit your individual credit score. In terms of rewards structures, business cards tailor their programs to reward common office expenses like supplies and phone bills. Personal cards skew more towards incentivizing consumer spending like groceries, entertainment, etc. Business cards tend to have higher credit limits, and they’re designed to support sub-accounts that multiple employees can use simultaneously. Now let’s compare the two varieties of corporate card programs. Unlike the last section, there’s a good deal of difference between credit card programs intended for small businesses and large ones. Whereas business-tier cards basically just translate the function of a credit card to business-specific purchases and payment schedules, commercial-tier corporate cards are designed for multi-million dollar organizations that are willing to pay a premium for more control over their procurement. The company is responsible for paying a commercial card. The business’s credit, not that of any individual employee, is what the financial institution assesses when issuing the card, and what is impacted by any negative activity on the card. Commercial card programs charge more in fees. In return, customers get more flexibility, a greater ability to customize the program, and far higher credit limits. They also support many cards issued under the same program, and are designed to be centrally managed. That leads to the most significant difference between commercial and business cards from our perspective: commercial cards offer direct data feeds. But with commercial cards, that data is readily available via API. The customer’s software can plug right into the bank’s system and ingest a high-quality flow of card data. This data is real-time and granular—sometimes even including line-item details of certain transactions—and it allows the finance team to manage their corporate card program using whatever software they choose. Which card program is right for you? Is your team ready to pay up for a commercial-tier card program? Or is a business-tier card program offering enough flexibility? Capital One’s Rajsaday Dutt advises a minimum of $4 million in annual revenue before considering a commercial card, though companies much larger than that sometimes choose to stay with a business-tier card. The key to assessing card programs is flexibility. Business and personal cards are usually off-the-rack programs with little customization available. Commercial cards, however, are designed to conform to your team’s workflow and to serve the accounting software you choose to manage it with. You’ll pay for more flexibility, but it could be worth it in the form of more efficient management.